La mousse | One quality, the finest. If I was going to hire a decorator for my home, it would be Charlotte Moss. For years, I’ve drooled over her books, pinned her photos on Pinterest, and sought out her designs at the Kips Bay show houses in New York. Last year, in fact, I ran into her at Kips Bay and babbled incoherently. 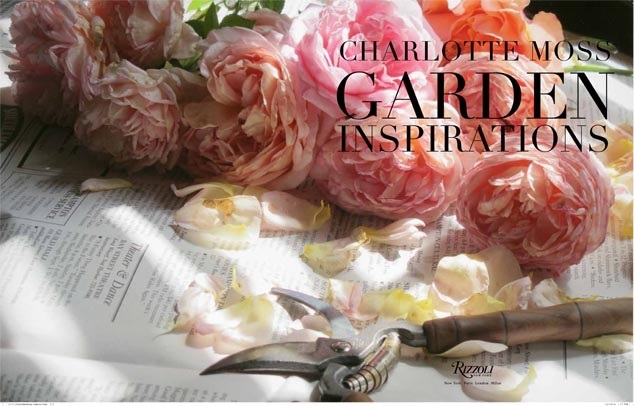 So, of course, I was delighted to see that she had a new book out, Charlotte Moss: Garden Inspirations, published by Rizzoli. My garden now consists of a cluster of pots on our patio, but I was ready to be inspired. As one would expect, this is a beautiful volume, full of Moss’ own photographs of the garden she has curated over the past twenty-five years. 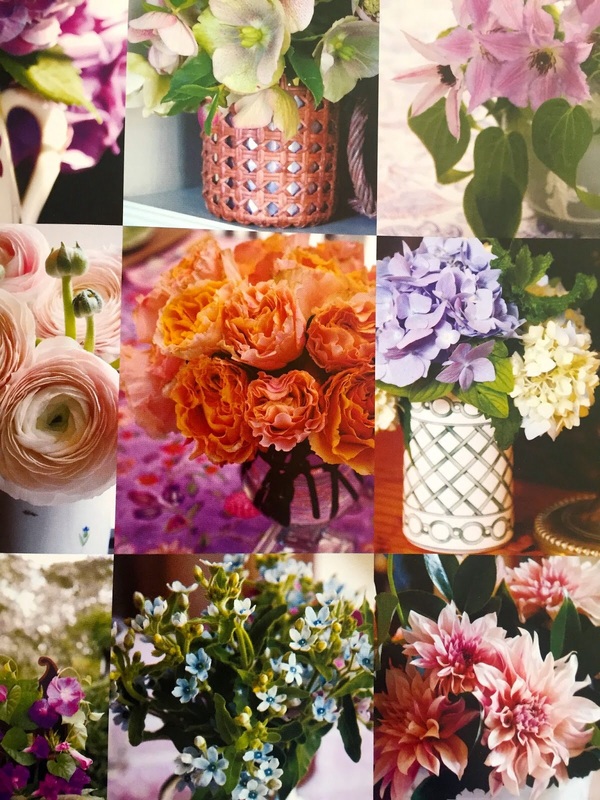 The photos show the garden and the lush arrangements she makes with them that fill her home. Moss entertains lavishly and the arrangements are literally the centerpiece of dinner parties, where the flowers compliment the table settings. Moss also shares her inspirations, including European gardens, including French ones, of course. My favorite French garden is the Bagatelle on the outskirts of Paris, so I was glad to see that it made her list. Great gardening women from the past, including France’s Colette are also credited with helping to develop Moss’ eye. If you want to walk in her talented footsteps, the book concludes with an extensive resource guide. After all, quoting Edith Wharton, Moss says that “to behold our own patch of beauty and pleasure” is an achievable goal for all of us. The French word for “moss” is la mousse (lah moose). Chocolate mousse, Charlotte Moss – it’s clear why the talented designer’s work has always appealed to me. (Even if the connection may be tenuous to others.) If I meet her again, I’ll probably babble worse than ever. This entry was posted in Flowers, Literature and tagged Charlotte Moss, Garden Inspirations, la mousse, Rizzoli. Bookmark the permalink.